The puzzles are horizontal and vertical, and this book also has an introduction to letter sharing puzzles. Everybody loves a good word search puzzle book. Solving them is not only challenging, but fun. The sense of achievement is usually epic. Especially once you nail that word that’s been keeping you occupied for a while. And now, there’s a puzzle book especially geared toward children and those who are learning the English language. One that will not only ease them into the wonderful world of word search, but it will teach them the fundamentals of both language and sentence structure. All the puzzles are capitalized, making it easier to spot the words that are familiar to them while also learning new words. The puzzles are horizontal and vertical, and this book also has an introduction to letter sharing puzzles. There is also a page allotted for each puzzle solution. Keeping children engaged is a task of its own.With this book you’ll not only be able to increase their vocabulary, but they can have fun while searching for the words. This book was designed to inspire creativity and help your child fall in love with the art of puzzle books. You are just one word search away from fun! a continuación para registrarse y obtener $ 140.00 garantizado sobre su primeros 30 viajes. Haga clic en el siguiente enlace para registrarse. first 30 trips. Click on the link below to sign up. Makes a great Mother’s Day present. 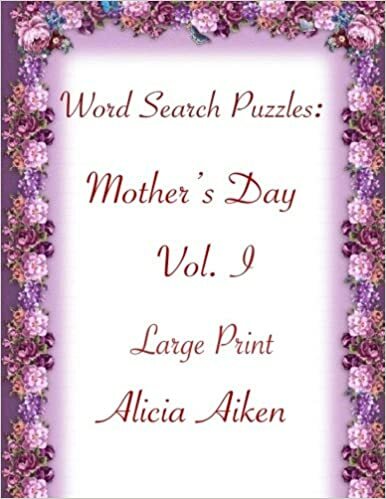 Make A Great Mother’s Day Gift. Grab Your Copy Now. The local vampires are very upset with Aro for falling for Zafina, a human, who knows of their existence and their identity, so they decide to take her and Aro out before he can turn her. Find out what happens in this short story when the other vampires turn on Aro and Zafina. Will they kill her or will Aro make her his forever? This eBook is currently available as a FREE download through 04/06/18. 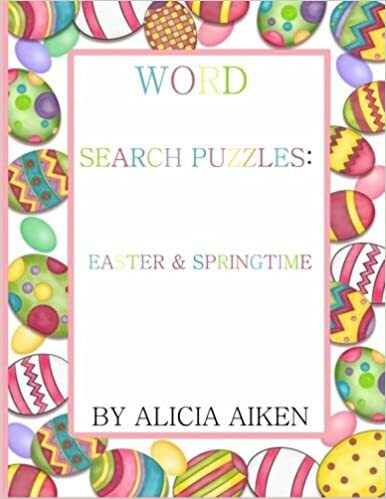 Word Search Puzzles Easter and Springtime will compliment any Easter basket. **********MAKES A GREAT EASTER BASKET STUFFER. ****************** Spring is in the air! With wildflowers and buzzing bees, the smell of budding trees and fresh rain, spring is certainly one of the seasons most colorful to our senses. It is also the season of a very important holiday close to the hearts of Christian followers. Spring can be described as the most vibrant and freshly-scented season of the year, and it is rightly so. In that way, isn’t it only natural that the words of spring be just as vibrant? Scan the letters up, down, across, and diagonally to find them! Easter is the time of Jesus Christ resurrection, and in this way, the day holds a very special meaning in remembrance of Christian history. The words are both secular and relating to His crucifixion, revival and the celebrations following, with thorough poring, you will have fun while searching for these words! There is also a page allotted for each puzzle solution. ‘Tis the time to celebrate the season of spring and the holiday of Easter! 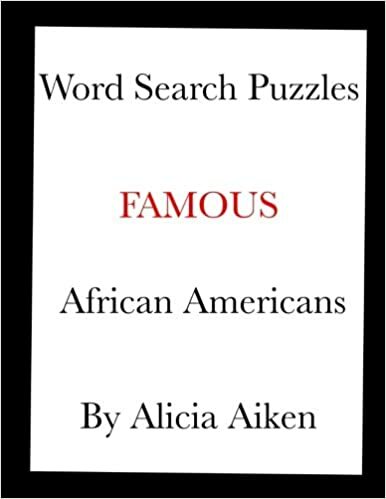 Word Search Puzzles: Famous African Americans, consist of politicians, inventors, painters, authors, etc. people who have and some who are still making a positive impact and great contributions to the world. 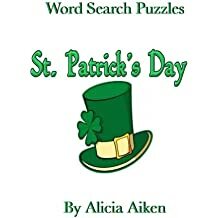 This book has 31 puzzles and to make it more entertaining and challenging Alicia Aiken has added a trivia question with each puzzle. The answers will be someone from the word lists. The solutions are in the back of the book along with the trivia answers. Each solution has been allotted a separate page. You are also able to log onto your computer and learn more about the people on the word lists and what contributions they have made. Take the challenge and learn something you may not have known. A Must Add to Your Book Collection. 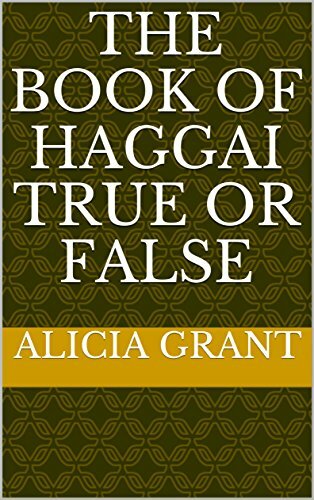 Haggai recorded this book of the Bible. The word of the Lord prophesied through Haggai telling the Jewish people of Jerusalem to consider their ways and rebuilt the Lord’s House. These 20 true or false questions will test your knowledge on this particular book of the Bible. Take the challenge and see how well you do. All answers were taking from the King James Version of the Bible. Take the challenge and download your copy today.